For out of chamber vacuum machines, such as our VS100 and VS305 vacuum sealers, you must use channelled bags to be able to vacuum your food. 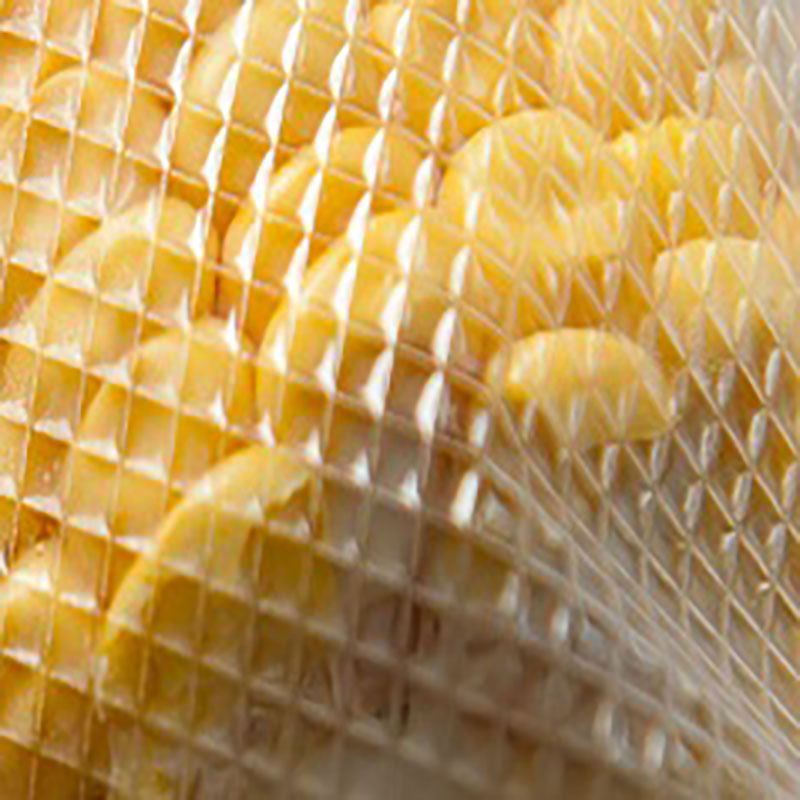 Our normal micro channel bags are 85 micron, these embossed micro channel bags are 100 micron. This means they are a little more expensive than the 85 micron bags, but are a lot stronger; more barrier means longer shelf life and they will vacuum quicker! You can use 100 micron embossed bags to vacuum bone in meat or when you want to freeze and transport food later (your next camping trip?).. Transporting frozen foods could damage the packaging and when you reheat in boiling water it’s important your bag is intact. Pac Food’s 100 micron embossed bags will help with this! 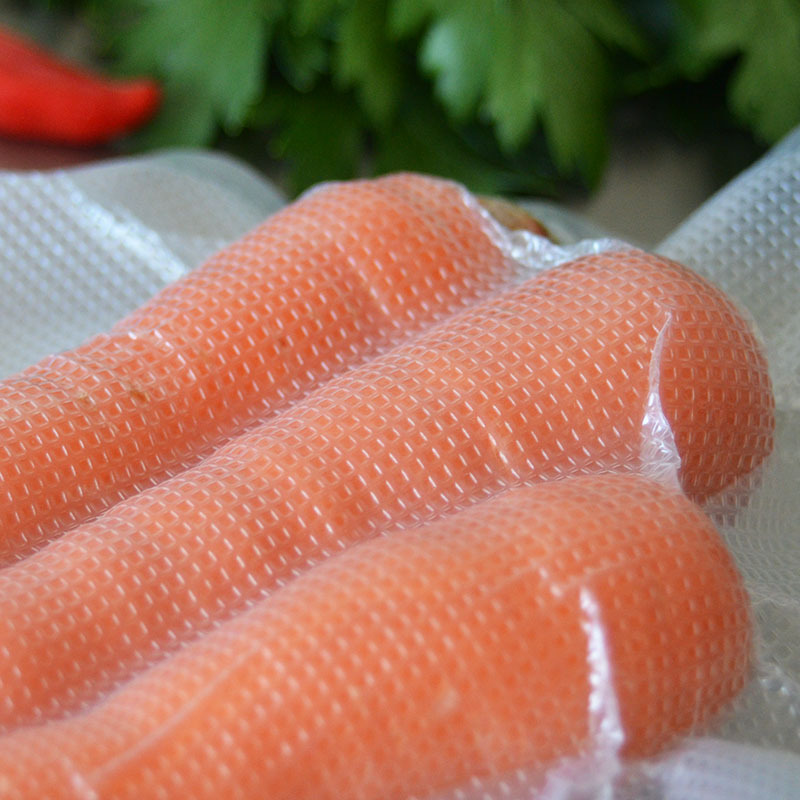 Ideal for sous vide and to prevent freezer burn. Our embossed bags WILL work with every vacuum sealer in the market. 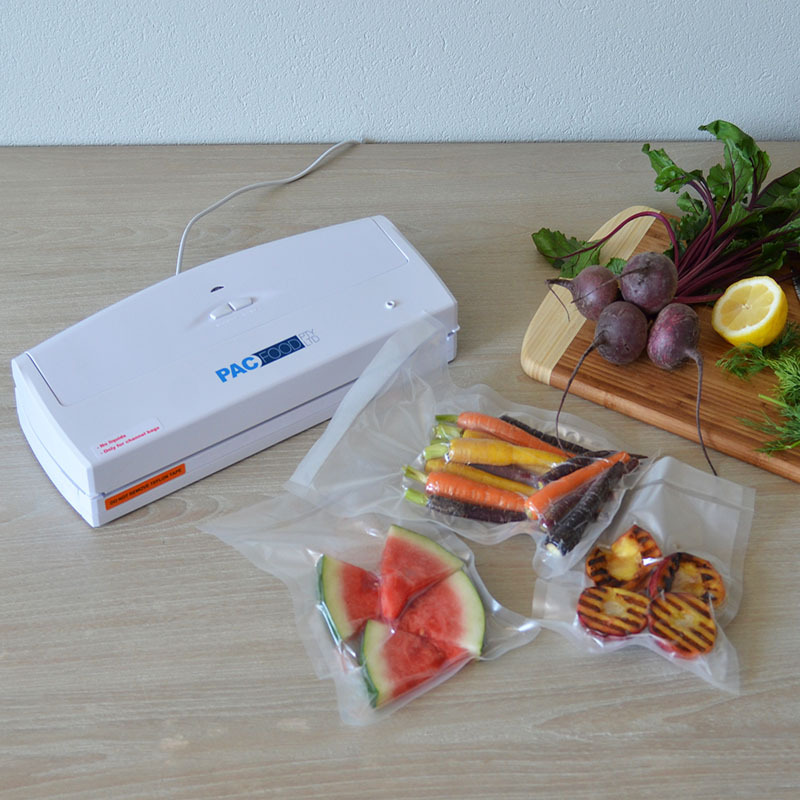 With best prices and great quality, Pac Food is one of the market leaders in domestic vacuum sealing. To continue shopping for our products please click here. 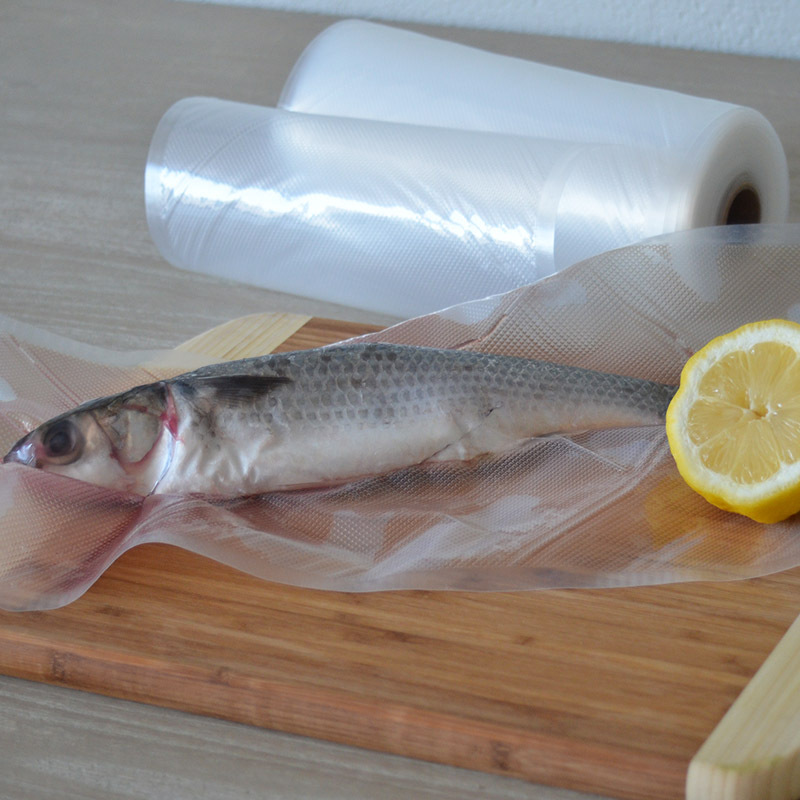 To get some very helpful instructions and handy tips on vacuum sealing embossed micro channel bags and rolls view our vacuum sealer demonstration videos. Best prices you will find!